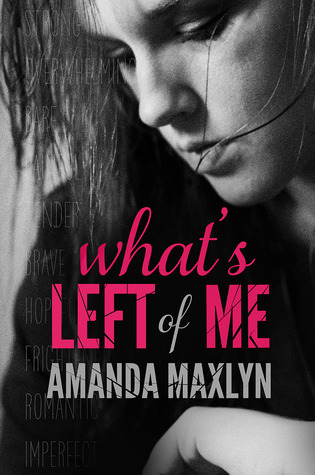 Sign into Goodreads to see if any of your friends have read What's Left of Me. You've read this one!! I loved it..
Can't wait to read 2nd book! Yep finally got to it!! Bloody cried at the end of it all for nothing I will never get those tears back again!! lol I just finished reading another book very similar to this one and it got me more on an emotional level, I'll go recommend it to you..
Keep an eye out for "My Skylar" by Penelope Ward, is due out very soon, that got to me more, can be read as a standalone.. I are gonna love it..